OnePlus is one of the smartphone brands that has been consistent in rolling out timely updates to its devices. Lately, it was announced by the company that the newly launched OnePlus 5T will receive the stable Android Oreo update in the next month while the OnePlus 5 will get it later this month. 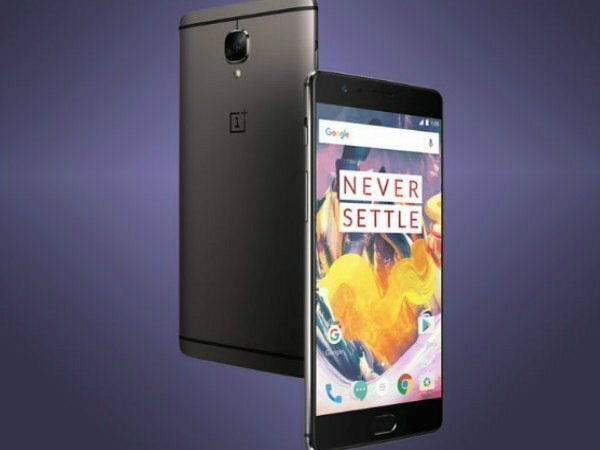 Now, the official OnePlus forum has revealed that the yesteryear flagship smartphones - OnePlus 3 and OnePlus 3T have started receiving the OxygenOS 5.0 OTA update. This update brings the much-awaited Android 8.0 Oreo update and some additional features as well. Already, the company had confirmed that these smartphones launched in the last year will get the Oreo update by the end of this year. The official forum has also announced the key changes brought in by the OxygenOS 5.0 OTA update except for the Android 8.0 Oreo update. From the same, it is clear that the update has brought in support for Parallel Apps, Picture-in-Picture mode, auto-fill, smart text selection, September security patch and the new Quick Settings design. In addition to these, the update has added new features such as notification dots, ability to upload photos directly to Shot on OnePlus and the new app folder design to the Launcher. Having said that, it is disappointing to know that the OnePlus 3 and OnePlus 3T have received their September security patch while some devices have also been updated with the November security patch. Also, there is no confirmation about the fix to the KRACK Wi-Fi vulnerability. OnePlus announced that the Android 8.0 Oreo will be the last major update that the yesteryear flagship smartphones will receive. Though there will be no major OS update after this, these devices will still get bug fixes and security updates. This way, OnePlus has progressed to become the second manufacturer to roll out the Oreo update to its devices. All users of the OnePlus 3 and OnePlus 3T will receive the OxygenOS 5.0 with Android 8.0 Oreo update in the coming days.